Southern Oregon Continuous Gutters, Inc. Comment: I have a contractor to replace rotted facia where flashing was not installed properly. Contractor advises that since all gutters will have to be removed, that it would be economical just to replace all of them. I would like to replace with gutters as close to the oiginal shape and design as exists now. Comment: This home is in a Hoa which will require their approval of the project. the project requires closing a gap between the gutter and the edge of the roofing across the back deck and the front entry. the back deck is two storys and the front entry is ground level . there is also a mold problem we are wanting to be taken care of on the roof. Comment: I would like to know what options are available at what price ranges for installing gutters. I will be considering; material, color, and cost. I would love to get a quote for work to be done later in the year (Aug/September). We are painting the house this spring and would like this information prior to painting. The house is a single story ranch with a single car detached garage. I removed all existing gutters and downspouts and would like to have gutters installed on the majority of the roofline and discuss the cost/savings of no installing them on some sections where there is no real 'need' for gutters. Thank you! Medford Gutter Cleaning & Repair Services are rated 4.82 out of 5 based on 2 reviews of 2 pros. 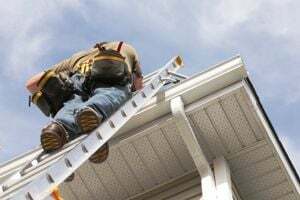 Not Looking for Gutters Contractors in Medford, OR?